I don’t watch a lot of news. Just enough, usually, to catch up on the day’s events. But much like during the aftermath of the 9/11 attacks on America I have found it compelling to watch the news following the attack on Charlie Hebdo. I grieve with the French, the Jewish, and Muslims who have suffered great losses. I grieve the lives of those snuffed out by an ideology which tolerates no other. If you’ve read much here you know that I am not a believer. I don’t believe in any kind of deity. However, I will defend the right of others to practice the faith of their choosing. Up to a point. When that practice crosses over to extremism, violence, and abuse I feel we all, every one of us, has a duty to oppose it. Having watched much of what is transpiring in France – the prevailing attitudes and multitudes flooding the streets I am inspired as I was after 9/11 that the future is brighter in spite of those who would have it another way. There will always be those who seek to silence those with whom they disagree whether by might or by intimidation. There will always be radicals who take their ideals to extremes. There will always be bullies. They only win when they have achieved the silence of those with whom they take offense. There is freedom of speech but clearly it is not free. It comes at a great price. I hope the time has come and will not fade away, as is the way, to unite in solidarity against this radical extremism. I hope the time has come that people, regardless of race or religion, will stand together as humans. 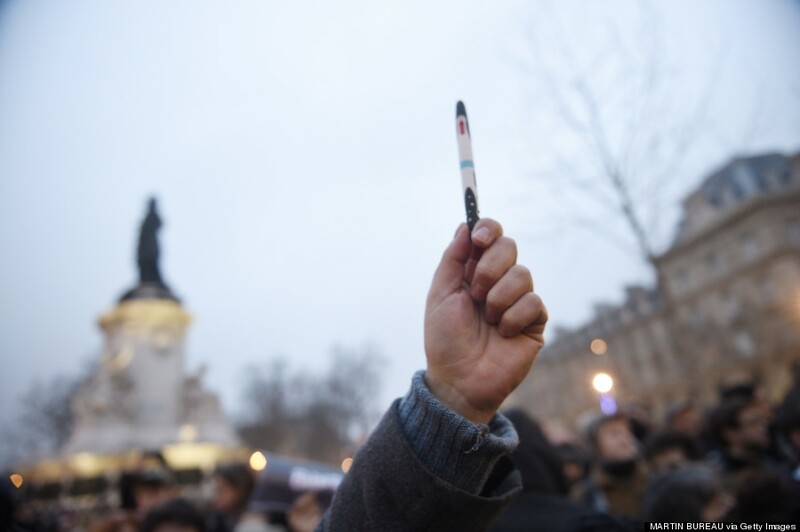 No, I am not a believer, but je suis juif, je suis France, je suis Charlie Hebdo, je suis muslim. Today I am human. Today I am a humanist. Categories: Uncategorized | Tags: Abuse, Charlie Hebdo, Extremism, Freedom of Speech, Fundamentalism, Je Suis Charlie Hebdo, Je Suis Juif, Jewis, Religion | Permalink.